Gites situated in 10km from Cognac, in Ségonzac... 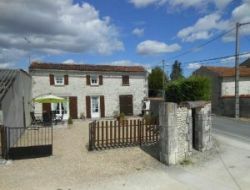 Rent of holiday cottages for 4 and 6 people, in a very quiet hamlet, strolls paths surrounded by vineyards. 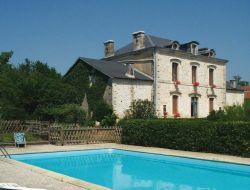 Unforgettable holidays in Charente, in a real family house and its dependences transformed into holiday cottages. An training course and the horse rides for the big and the small riders. That you are novice, confirmed or owner of your horse, your holidays in the Petit Logis de Breuil, will be a relaxation moments. Spend your holidays in Charente, in a small hamlet of character and charm surrounded by several sunflowers and vineyards. Gites for 4 and 6 people. Fenced by the walls, the beautiful swimming pool is heated. At the gates of the Perigord, Holiday Village of the Gardes-le-Pontaroux welcomes you all year round for short stay, week or temporary residence with its 22 individual cottages, furnished for 6 people.